A magnificent building constructed in 1925 by the foresight of early directors of the New Zealand Sunday School Union. This building of 5 levels, three above Queen St and two below facing the Council car park on lower Greys Avenue, has served the purposes of the mission for many decades. In the past it has housed Christian Resource Centre, Boys and Girls Brigade headquarters, British and Foreign Bible Society and other Christian organisations. Currently 323 Queen St is the office of NZSSU as well as Methodist Mission Northern, who through Housing First, Lifewise and Splice, who are the outreach arms of the Methodist church to the homeless of Auckland. Also housed are several artists studios as well as Music Planet, who have a wonderful range of musical equipment and EHOME, an internet gaming company. 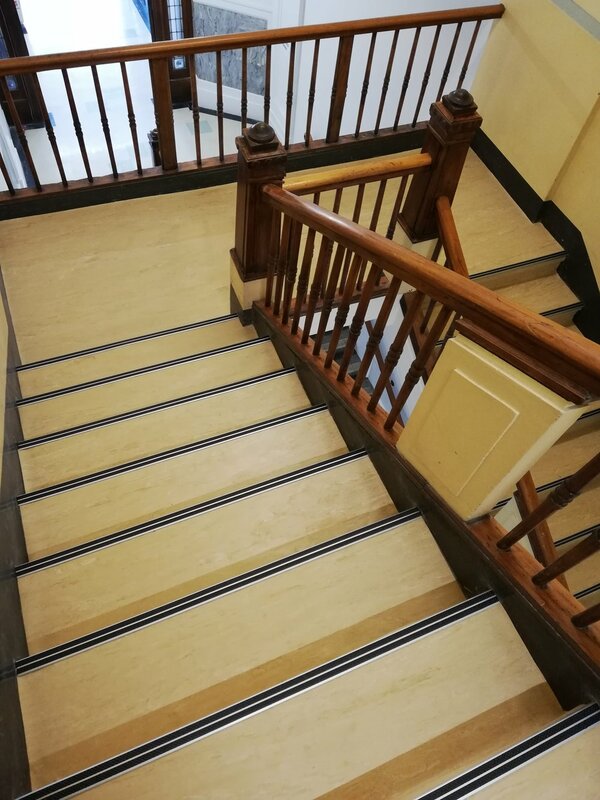 We’d like to thank the Waitemata Local Board Auckland Council for the grant towards the refurbishment of our stairwell.